The 'natural look" can often require coating oneself in multiple chemical - filled products that can cause a variety of health problems. This summer , you can achieve the beauty look of the season and keep your skin glowing underneath with th e purest make - up on the planet, INIKA. The organic cosmetics leader has all the essentials to create fresh, natural faces for the season that feel fresh and natural too. The INIKA Mineral Foundation Powder creates a beautiful light - weight base, with the added benefit of 100% natural SPF15 protection. Simply dust the powder on your face, build to your desired coverage and enjoy flawless looking skin. Rosy cheeks for summer have never been so easy with the INIKA Mineral Blusher Puff Pot . Available in two shades, the handy pot is perfect for on - the - go touch ups with the Puff Pot applicator and powder all in one piece! The summer 's sun - kissed look can now be achieved from the beginning of spring with INIKA's Mineral Bronzer . Available in four stunning shades, there is a Mineral Bronzer for every skin tone to add a beautiful glow that looks and feels natural. 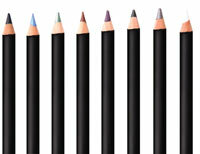 Natural, understated eyes are trending this season, with neutral and bronze shades being the colours of choice. INIKA's Vegan Mineral Eyeshadows are vibrant and highly pigmented, ensuring eye looks that will last all day. In a range of bright new season co lours, as well as natural tones the eyeshadows are the perfect final tool to make your eyes pop this Spring. INIKA's new Vegan Lipsticks are the key to a perfect summer pout. Opt for natural shades such as Before Sunset and Naked Kiss to finish your effo rtless, natural look. Created with Certified Organic Avocado and Jojoba Seed Oils, the Vegan Lipstick provides nourishment and hydration while maintaining amazing colour performance.
. Titanium and Zinc Oxides offer a lasting natural radiance. 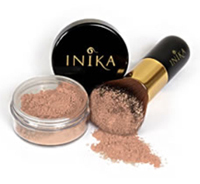 INIKA is the purest make - up on the planet and the best choice for 100% natural cosmetics and truly beautiful skin. Using the finest, most natural and pure ingredients, INIKA is awarded one of the highest safety ratings in the world with over half the range being certified organic, and all being 100% natural , vegan, cruelty free and halal. INIKA proves that natural make - up doesn't need to compromise on performance, winning over 35 awards for excellence and innovation and consistently creating high quality hi gh performance cosme tics, ethically.